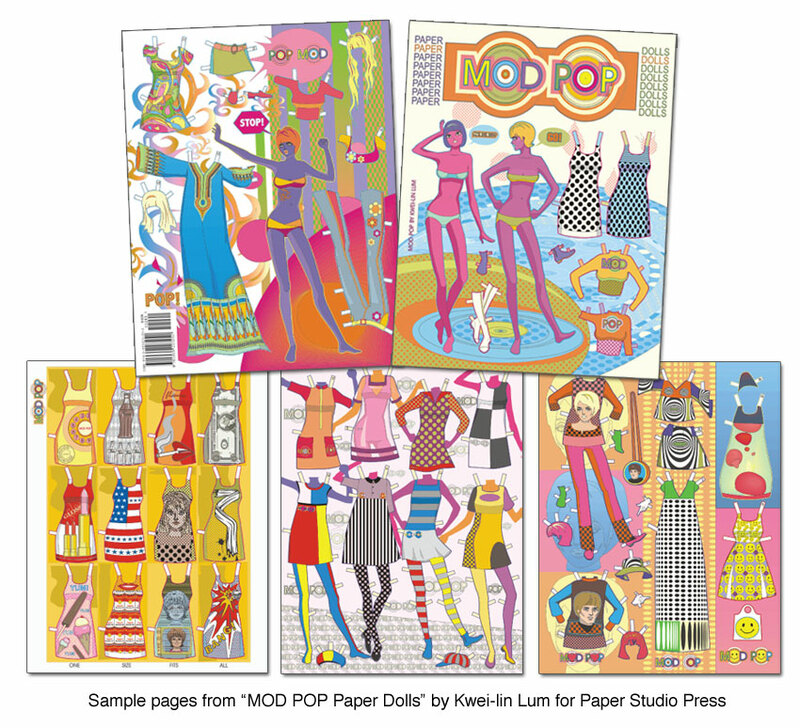 Kwei-Lin Lum, arguably the most imaginative of all paper doll artists working today, has created a brand new work of art that would be at home in a Museum of Modern Art. 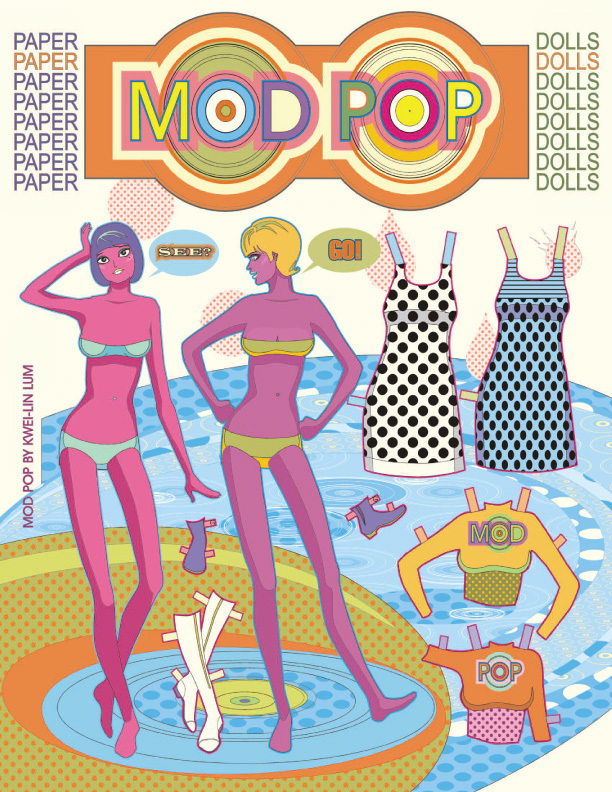 MOD POP is a colorful, eye-popping ode to a fashion era that broke all rules, shocked, surprised and delighted the young dolly birds who kicked up their heels in mini-dresses, shrunken sweaters, jumpsuits, flare pants and paper dresses (how appropriate is that?). 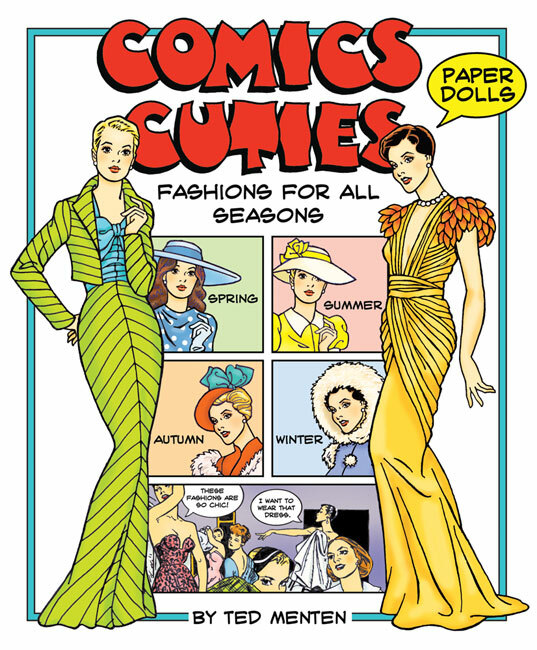 This spectacular celebration of 1960s fashions offers more than 80 mod items including tights, wigs, boots and other trendy accessories, plus a colorful boutique backdrop and stands for mounting four fashion figures. 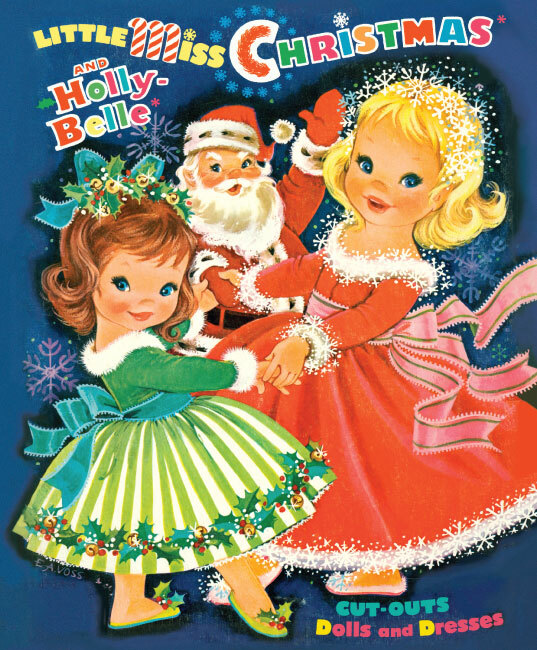 Every page is a wild and wonderful work of Pop Art artistry that would make Andy Warhol flip his white wig. 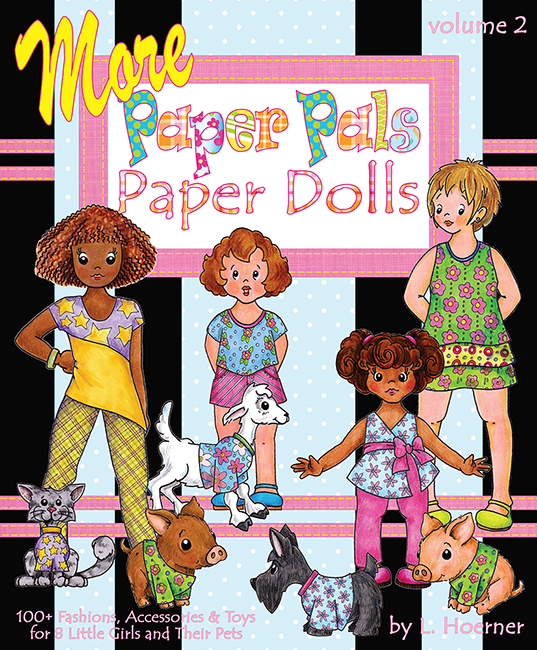 Model: Super fun mod fashions!